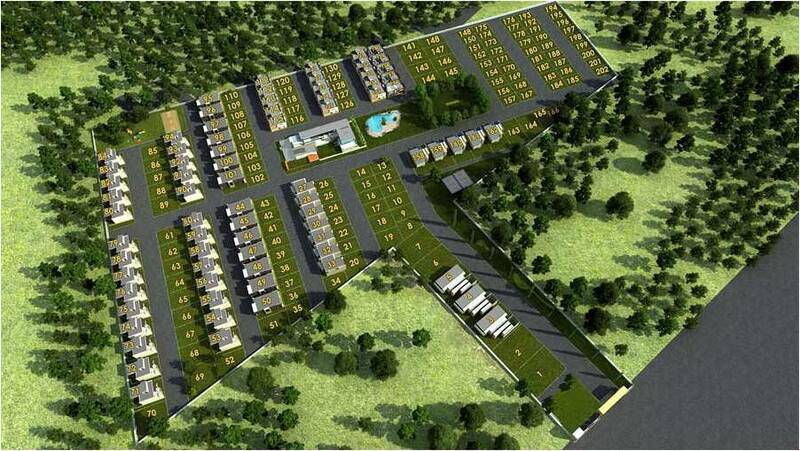 Krishna Stoneview is a laudable residential community by esteemed real estate groups of Krishna Enterprises. The project spreads over a mammoth 20 acres land pack and offers 202 villa plots and an apartment complex, on a premise with panoramic view to iconic Nandi Hills. Located in Telecom Layout, near Stone Hill International School, Bangalore-North, this campus is in close proximity to numerous SEZs, vineyards, International Airport and Horse riding schools. 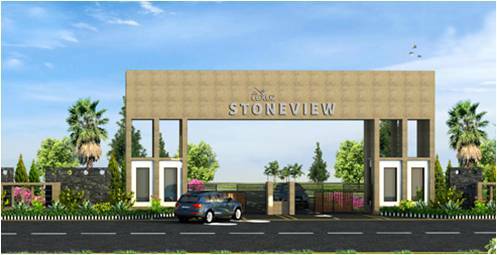 Krishna Stoneview offers plots of different dimensions viz., 35X50 sq ft, 40X60 sq ft, 45X60 sq ft set amidst well rooted social and physical infrastructure like wide tarred roads, STP, sump &amp; bore-wells, sanitary, Rain water harvesting, security surveillance, tree-lined pathways, underground electric wiring &amp; communication network. The township offers various amenities like 10000 sq ft signature clubhouse with gym, swimming pool, landscaped green-yards, cycling tracks, various indoor outdoor sports and fitness facilities. 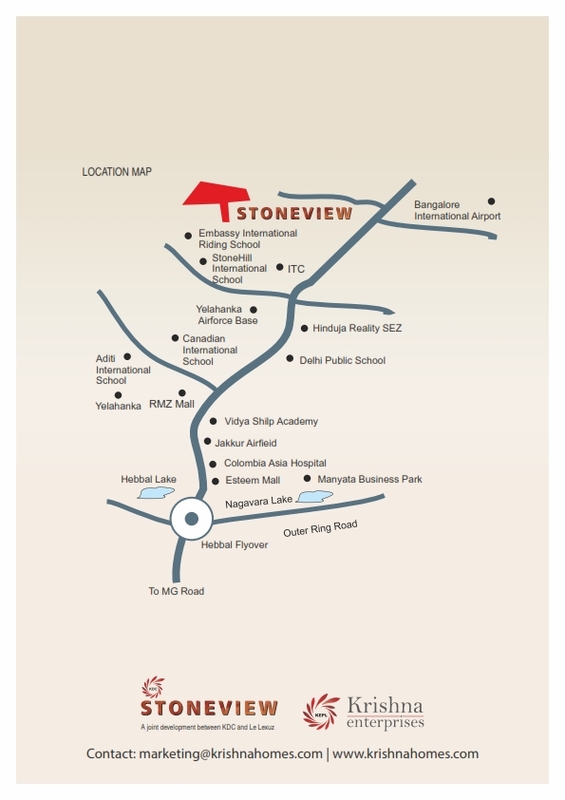 KDC Stoneview is located in pictorial surrounds of Nandi Hills, near Stone Hill International School, Bangalore North. This area has seen rapid growth in-terms of commercial and residential elevations and is equipped with excellent physical and civic infrastructure. The presence of reputed educational institutions, hospitals, IT hubs, shopping malls, multiplexes, supermarkets, banks and other social conveniences paves way to an easeful livelihood.